Coast Kimberly Velvet Dress is rated 5.0 out of 5 by 1. Perfect for parties, the Kimberly Velvet Dress from Coast Curve is a stylish, feminine choice. Designed in tactile stretch velvet with an off-the-shoulder neckline, fitted bodice and full skirt for a chic look for any occasion. Rated 5 out of 5 by El40 from Just beautiful! 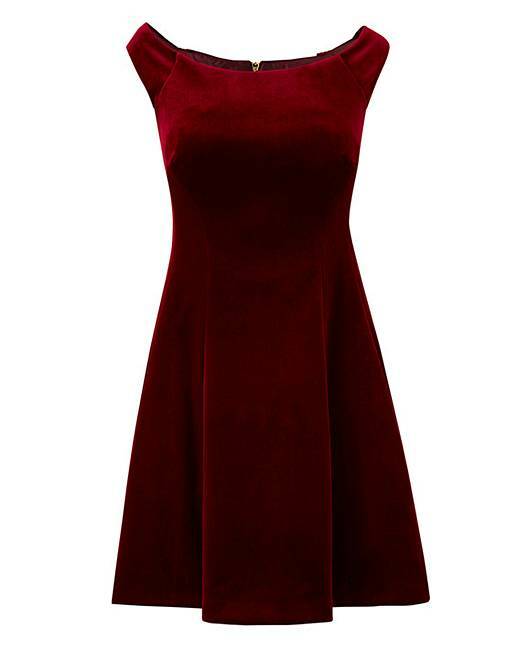 This is just the perfect Christmas dress! It sits beatifully. I’m only 5”1 and it sits n my knee which is what I was hoping for.